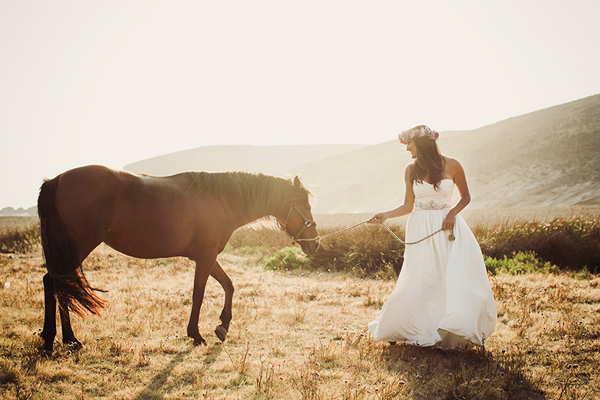 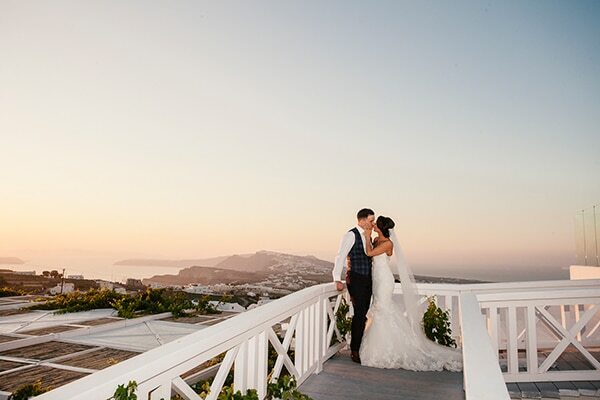 Dreaming of a fairytale chic wedding with breathtaking sea view and romantic sunset? 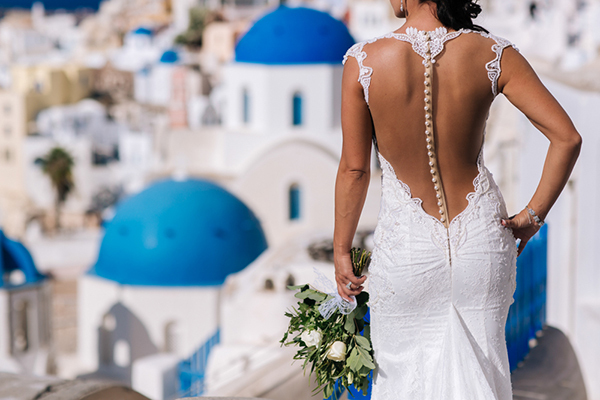 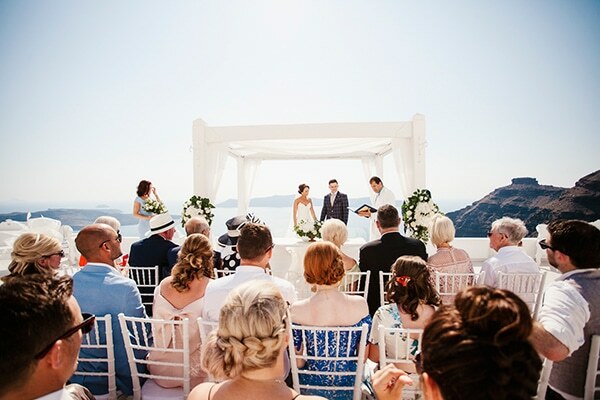 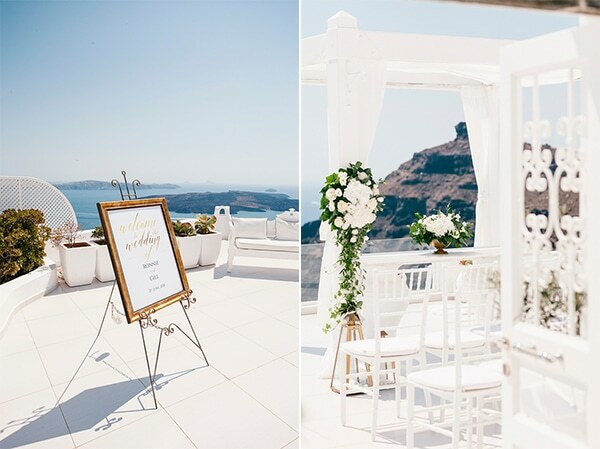 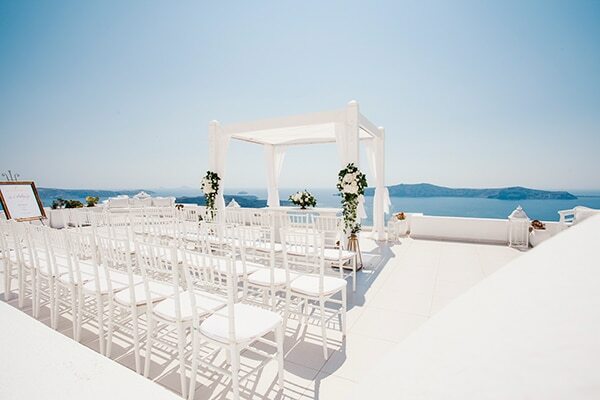 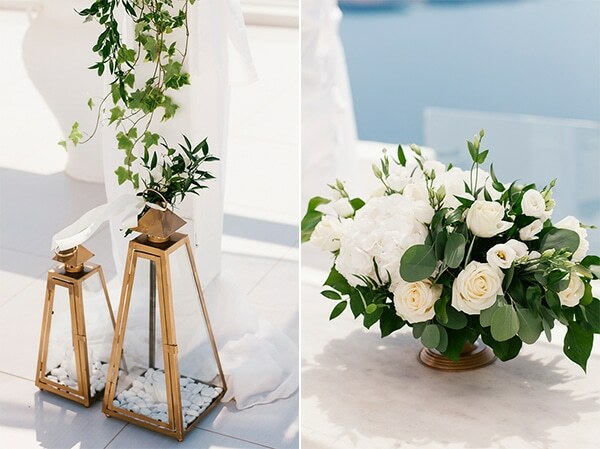 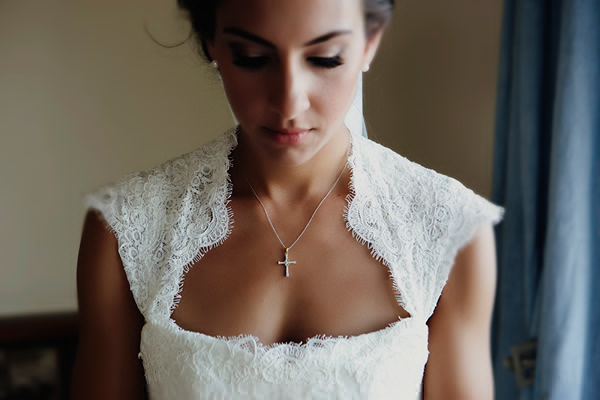 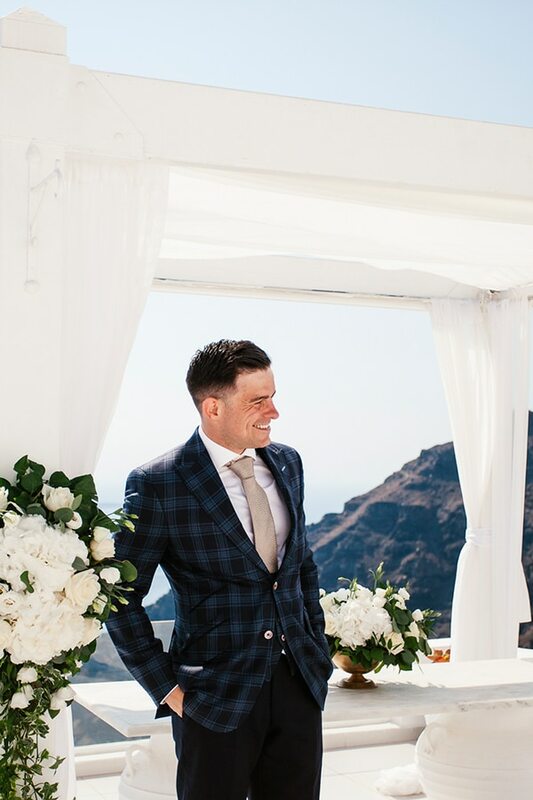 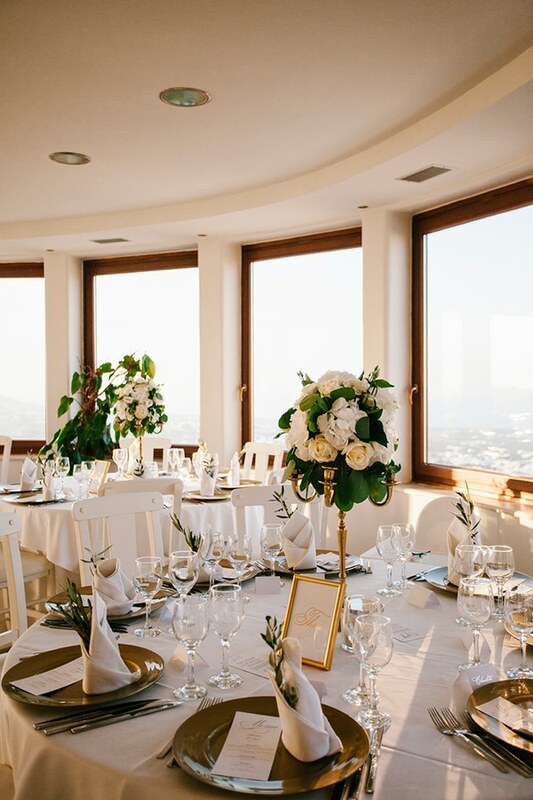 Well, then today’s wedding in Santorini is for you! 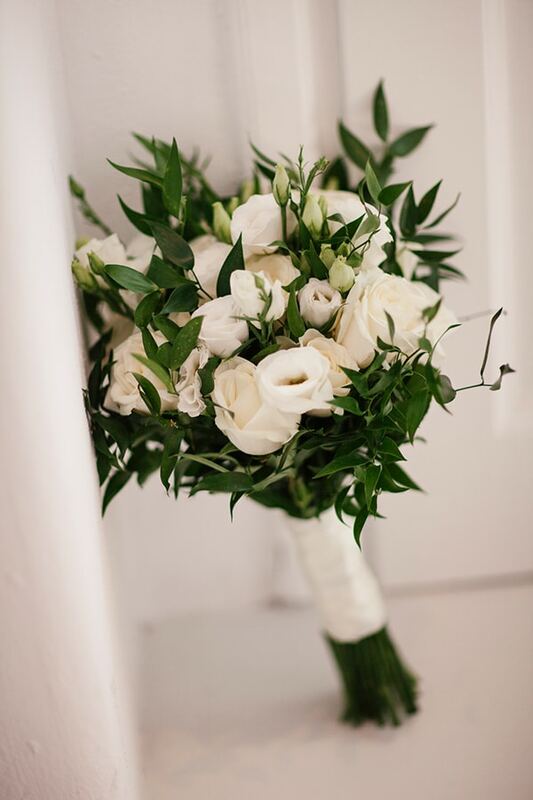 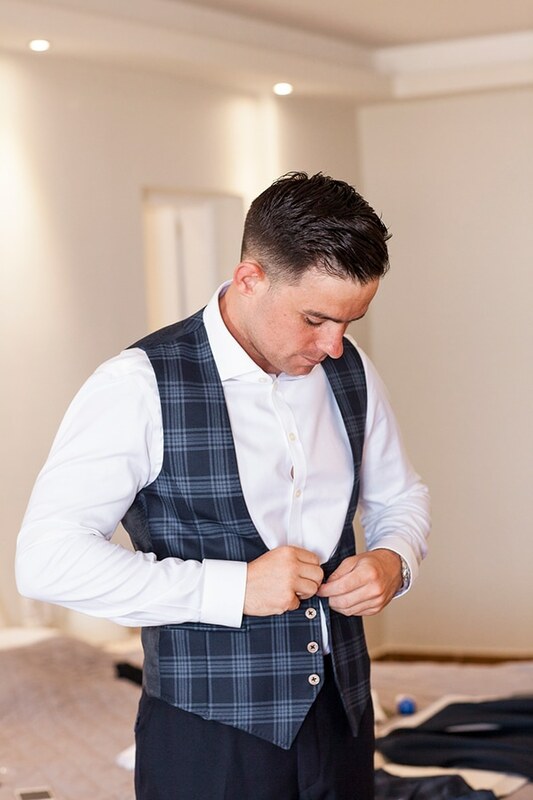 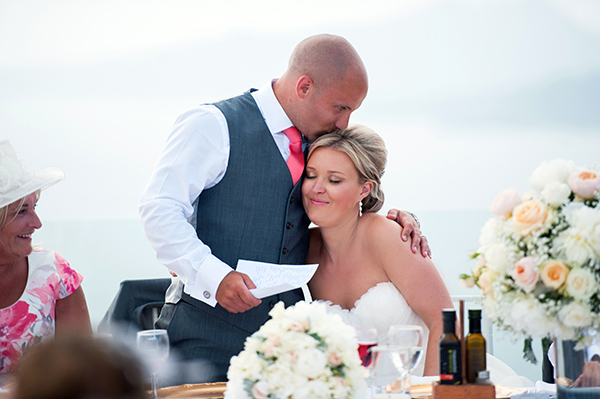 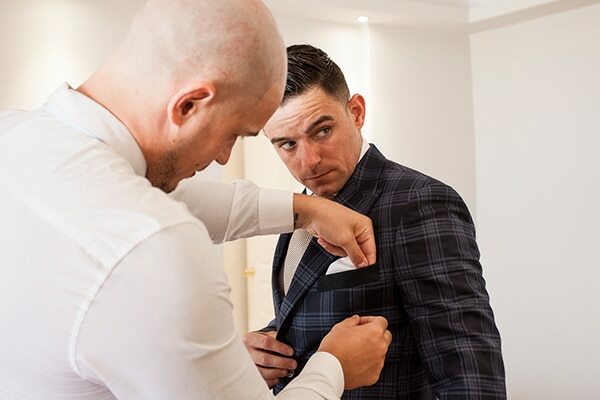 Gill and Ronnie sealed their love with an elegant wedding in an impressive venue overlooking the deep blue sea. 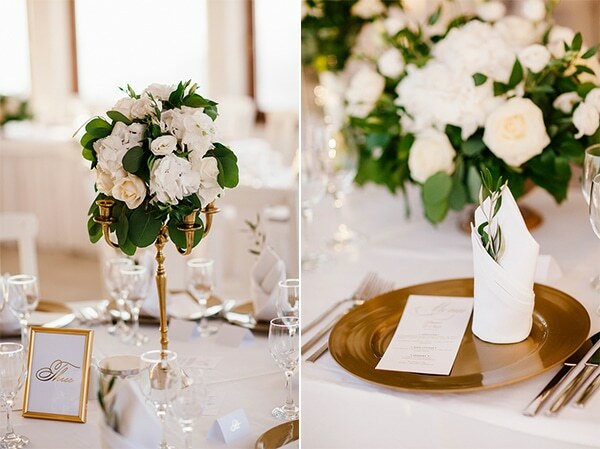 The day was peppered with luxury and shine with white, green and gold as dominant colors. 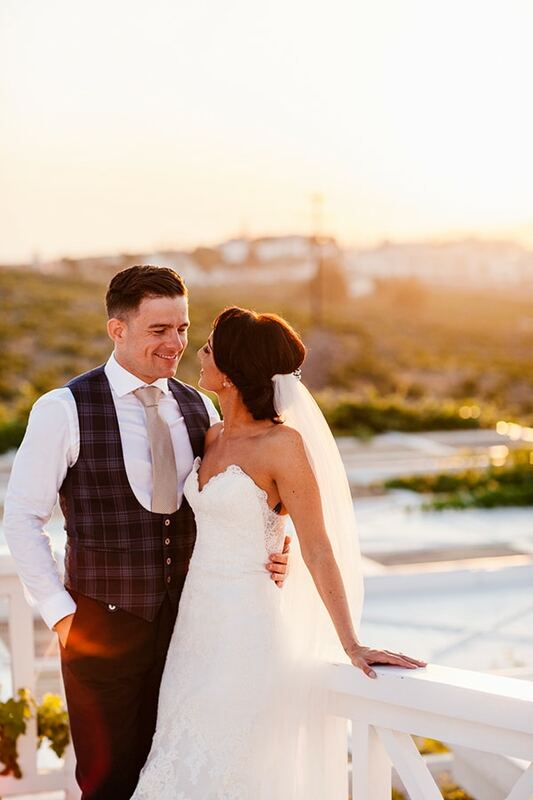 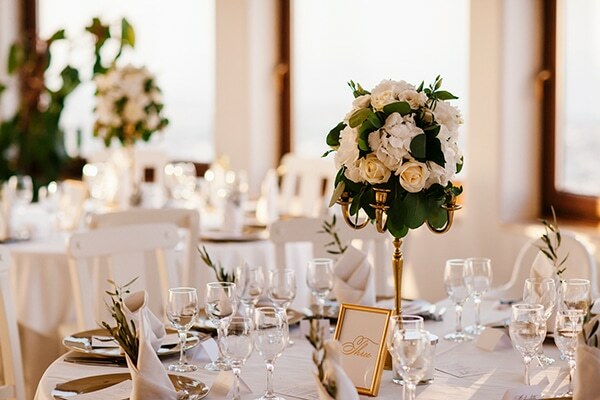 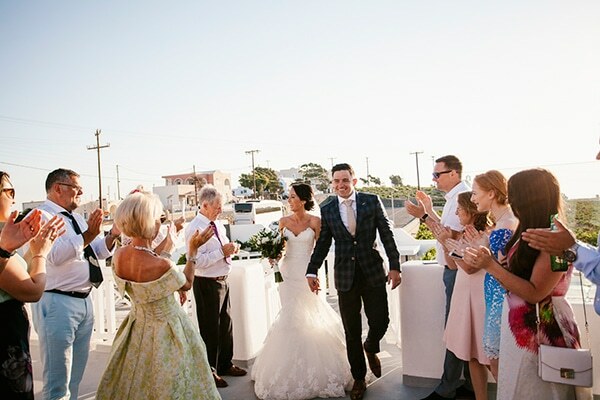 Both couple and their guests enjoyed the island’s natural view and a tasty meal in an extra-luxurious indoor reception venue. 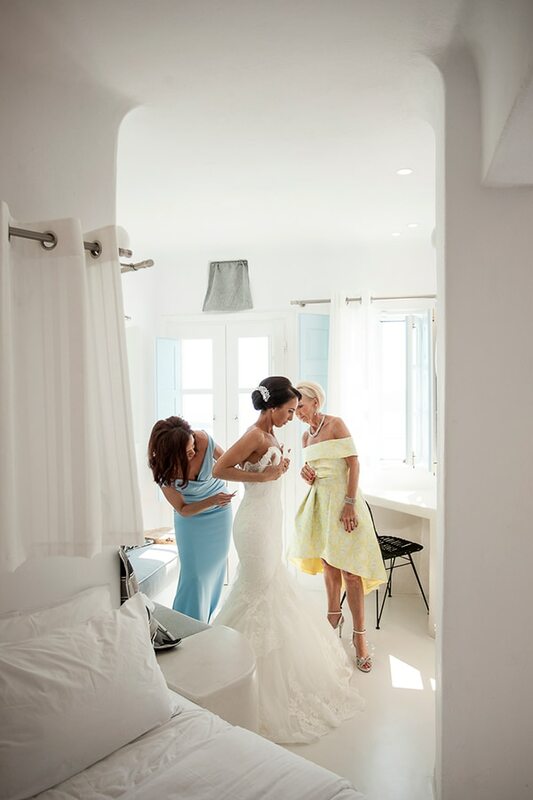 Enjoy each moment through the following images by Eva Rendl! 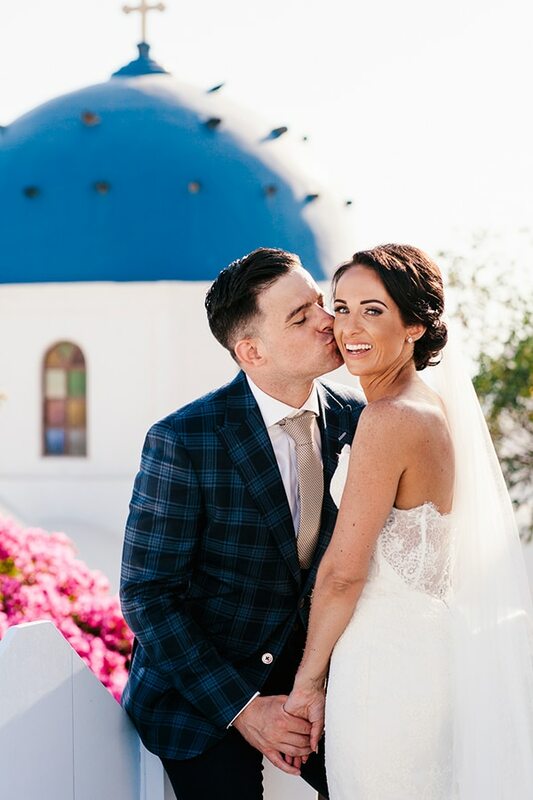 Wish you all the best, Gill & Ronnie!